Over the weekend I had the most awesome fair experience ever! I had the chance to attend the Seattle's Best Red Cup Showdown Competition. My husband and I go every year to the CA State Fair to celebrate the anniversary of our first date. This year was 14 years since our first date, it was a wonderful and memorable way to celebrate. Our son is only 2 1/2 so my husband and son arrived at the end of the competition, just in time to hear the winners announced. I was there from the beginning. Even having a chance to chat with the adorable Jeff Mauro, the Sandwich King before the event started. He is so personable and funny. A perfect host for a fun competition like the #RedCupShowdown. The event was held in the grandstand of the Cal Expo Horse Track. We have been there a few times to watch the horse races. This was the first time I have attended a food competition. I love to watch the cooking shows on Food Network and of course Sandwich King is one of them. Seeing it in person was awesome. The jokes Jeff told, the stories the contestants shared about the inspiration of their drinks and the smell of coffee in the air made it just about perfect. The contestants from all over California had 5 minutes to make their drink from brew to final touches. It was exciting to watch the contestants in action. Before the competition started I sat down with a contestant to ask her a few questions about why she was competing and little about her. Her name is Kathleen and is from Sacramento, born and raised. She told me her inspiration story for her Seattle's Best Coffee Red Cup Showdown entry. "Coffee comforts me. Coffee is memories of laughing and sharing with my family, those here and those gone, holidays, and Sunday mornings. Coffee is home and all that that means to me." Her drink is inspired by Black Cake, a story and recipe that New Yorker Laurie Colwin shared in her book, Home Cooking, A Writer in the Kitchen. 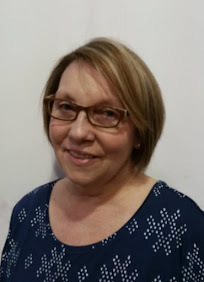 Laurie Colwin wrote for the New Yorker and Gourmet magazines about cooking while she cooked and told family stories over a cup of coffee. Kathleen was inspired to recreate the Black Cake in a coffee cup. She named it Orange Spice Brulot, for the burnt sugar ingredient, the translation in French. "Black Cake is a traditional West Indian fruitcake. It is made with burnt sugar, spices, and fruit all soaked in wine and rum. Orange Spice Brulot has the richness of coffee, the mélange of spices, the sweet candied orange, and the infusion of orange scented cream. The result is dark, burnt sugar sweetness with the intensity of a Black Cake." After having the pleasure of meeting Kathleen I asked her if I could share her recipe with the readers of my blog. The scent of her drink as she made it for the judges filled the air. Its was wonderful! until bubbly, brown and foamy, about 15 minutes. Strain into a bowl. Cool. oranges into strips. Boil ½-cup water in saucepan, add peels and cook for one minute. dry for 1 hour. Store in container or plastic bag. Hearing the stories from the contestants made the drinks have character. Wish we could have tasted them along with Jeff and the other judges. This contestant Joanna made super cute chocolate Seattles Best logos from chocolate and little pieces of Red Velvet cake to top her drink. She was also celebrating her birthday, Jeff and the whole audience sang to her. It was great! After the 3 Rounds of Competitors made their drinks and the judges sampled them, Jeff and the other two judges took a break to go make their decisions. Everyone in the audience had their favorite entries from their stories, mine of course being my new friend Kathleen. Finally they judges came back to announce third, second and first place. I was thrilled when they announced Kathleen had won second place!!! I was so happy for her. The first place winner Liz from Lodi CA was very nervous about her entry, she almost left the competition! Thankfully she stayed and went on with the competition. Her drink was a Caramel Apple Coffee Drink, I thought it sounded perfect for a fair, who does not love a caramel apple at the fair. It just goes to show anyone to not doubt themselves, that we are our own worst critic! It definitely inspired me to realize we have to step outside our comfort zone sometimes to really shine. Congrats Liz, we will be cheering for you to win in New York. Liz with Jeff after winning, she looks so happy! Congrats Kathleen on your second place win! The winners of the #RedCupShowdown in CA with Jeff and the other judges. My son and I having our picture taken with Jeff Mauro. It was so exciting to meet him after seeing him win the Next Food Network Star and then on his own show Sandwich King. After the competition my husband, son and I all headed to the Seattle's Best Coffee booth on the fairgrounds. We had the chance to get our picture taken in the Red Cup, spin the Seattle's Best wheel for prizes, taste a few of the Seattle's Best Coffee fair drinks and were given samples of the coffee to brew at home. All smiles enjoying our day at the CA State Fair. Of all the 14 years we have gone this was the most memorable for me! Seattle's Best Coffee is delicious and affordable. You can find it at Walmart and often coupons for the coffee in the Sunday paper. 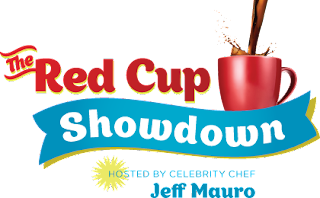 If you missed the Seattle's Best Coffee Red Cup Showdown at the CA State Fair, dont worry, Jeff Mauro and the Seattle's Best team will be traveling to more state fairs. There is still time (until July 27th to enter your recipe online at the Seattle's Best Facebook page under the Red Cup Showdown page. *I am a member of the Collective Bias™ Social Fabric® Community. This shop has been compensated as part of a social shopper insights study for Collective Bias™ and Seattle’s Best Coffee #CBias #SocialFabric #RedCupShowdown All opinions are my own and your experience may vary. Love that you got the recipe! So fun meeting you and your family! Love this Laura!!! Looks like you had so much fun, and I love the pics of you! Fantastic!!! This is so cool! You did such a good job on the photos too. I am a little jealous that you got to meet Jeff Mauro. He looks so fun on tv. On a side not your little boy and you are soo cute! I love all the pictures! It looks like you all had so much fun! I am SO glad that I got to meet you and Trish. What an amazing event! 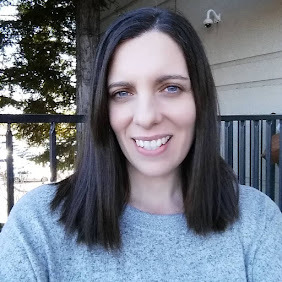 Thanks for the link to Kathleen's blog (I had forgotten what it was)! and..your son, too cute for words!